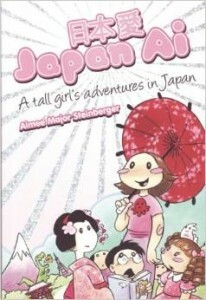 Japan Ai by Aimee Major Steinberger (2009 Top Ten Great Graphic Novels for Teens, 2009 Popular Paperbacks for Young Adults, 2009 Quick Picks for Reluctant Young Adult Readers) – This book, drawn in Manga style, chronicles Aimee’s trip to Japan, where she immerses herself in Japan’s particular cuteness. More of a journal than a traditional comic, this is fun book that will leave you dreaming of a trip to Japan. An Age of License by Lucy Knisley – One of my most anticipated books of the season, this is Knisley’s memoir of her recent European book tour. Though this book is sure to be great, I could just as easily have put any of Knisley’s other books, such as French Milk, Relish, or the upcoming Displacement, on the list. I recommend reading them all! 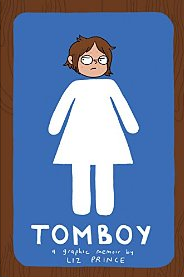 Tomboy by Liz Prince – This new book from Liz Prince, her first classified as YA, tells the story of her childhood as a tomboy who was teased, bullied, and pressured by those around her because she wasn’t traditionally girly. A great read for those who were tomboys and those who simply love great graphic novel memoirs. How to Understand Israel in 60 Days or Less by Sarah Glidden – When offered a chance to take an all-expense-paid â€œbirthrightâ€ trip to Israel, Glidden jumped at the chance to learn more about this part of the world. In this memoir, she talks honestly about her conflicted feelings about the region and the way that she changed over the course of the trip. 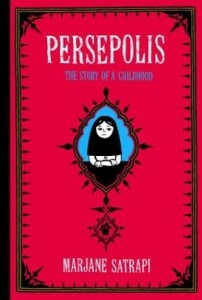 Persepolis Vol. 1 & Vol. 2 by Marjane Satrapi (Best Books for Young Adults 2004 & 2005, 2004 Alex Award, 2007 Popular Paperbacks for Young Adults) – Told in two volumes, this book offers a personal insight into Iran during the Islamic Revolution from the point of view of Satrapi, who grew up there. It is a powerful story of how rapid change came to the country and impacted the lives of everyone who lived there. This One Summer by Mariko Tamaki and illustrated by Jillian Tamaki – Following two young friends, Rosie and Windy, while they are at the beach with their families for the summer, this book is a coming-of-age story as well as a family drama. 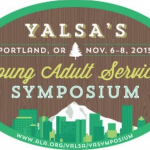 It tackles the topics of growing apart from friends and dealing with parental conflict. All kinds of readers are sure to relate to the themes Tamaki touches on here. 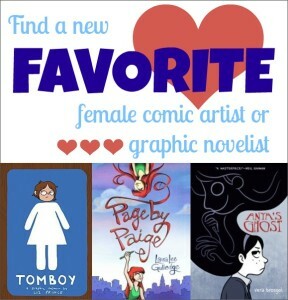 Page by Paige by Laura Lee Gulledge (2012 Great Graphic Novels for Teens) – When Paige Turner’s family moves to New York, she begins keeping a sketchbook to track her transition and to help her to find herself in the new city. This conceit allows Gulledge to tell an entertaining story of friendships in high school and also reflect on growing up as an artist. It also allows her to take more risks with the artwork in the book, including drawings that go beyond the average graphic novel. Jane, the Fox and Me by Fanny Britt with illustrations by Isabelle Arsenault – Dealing with bullying, depression, friendship, and the importance of a life of the imagination, this book is not exactly a traditional graphic novel, being presented more as a picture book in some ways. It follows HÃ©lÃ¨ne as she deals with her status as an inexplicable outcast at her school where her former friends have suddenly turned against her. It is a beautiful and ultimately hopeful book about difficult issues. 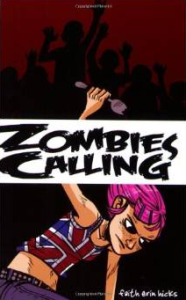 Zombies Calling by Faith Erin Hicks – Hicks is another example of an author so prolific that I could have included several different books from her, but this one is a fun story of a zombie attack on a college campus and is perfect for fans of zombies. Once you’ve finished this one, be sure to move on to one of Hicks’ other books, such as The Adventures of Superhero Girl, which won a 2014 Eisner Award. Also, be sure to keep an eye out for her upcoming collaboration with Rainbow Rowell. I know I can’t wait for it! Lumberjanes by Noelle Stevenson and Grace Ellis with illustrations by Brooke Allen – Following five friends as they spend the summer at scout camp and fight monsters along the way, this book includes mystery, yetis, and all the fun you remember from your time at summer camp! This series is sure to put a smile on anyone’s face. 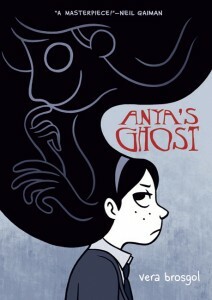 Anya’s Ghost by Vera Brosgol – Anya is on the lookout for a best friend, so when she stumbles upon a ghost down a well, she doesn’t really question their friendship. But, maybe she should have. This book is the perfect combination of fun, creepiness, and suspense, so it makes sense that it won so many awards, including an Eisner Award. Foiled by Jane Yolen with illustrations by Mike Cavallaro (2011 Great Graphic Novels for Teens) – Aliera Carstairs is a champion fencer, but she isn’t quite that confident at high school. However, when her mom buys her a new fencing foil, all her priorities may change as she gets drawn into a fantastical world which somehow involves the new boy from her biology class. Once you have torn through this fun and exciting fantasy, be sure to check out the sequel, Curses! Foiled Again. A Wrinkle In Time by Madeleine L’Engle and illustrated and adapted as a graphic novel by Hope Larson – This new adaptation of L’Engle’s classic science fiction novel will bring the book alive for a new audience with Hope Larson’s beautiful illustrations. This adaptation will keep fans of the original book engaged and entertained, but is also completely accessible to those who have never read a Wrinkle In Time. Robot Dreams by Sara Varon (2008 Great Graphic Novels for Teens) – This bittersweet tale of the friendship between a robot and a dog is told almost entirely without words. Despite this approach, Varon successfully conveys not only the point of her story but more importantly the emotions. A great story of the importance of loyalty and regrets that can result from friendship. Brain Camp by Susan Kim and Laurence Klavan with illustrations by Faith Erin Hicks (2011 Great Graphic Novels for Teens) – When Jenna and Lucas are asked to attend an invitation-only summer camp, it seems a little bit too good to be true. 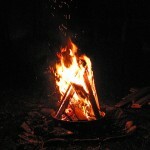 As they adjust to life at the camp, they realize that this might be because there is something sinister going on at this seemingly idyllic camp. This one is perfect for fans of both science fiction and horror. Birds of Prey, Vol. 1: Of Like Minds by Gail Simone with illustrations by Ed Benes – With her long and illustrious career that includes stories for Red Sonja, Batgirl, Tomb Raider, Secret Six, and Wonder Woman (to name just a few), it was hard to choose which of Simone’s works to include, but since I have a soft spot for Oracle, I went with one of her Birds of Prey books, which follows them as they battle Savant. A great book that highlights some great female superheroes. 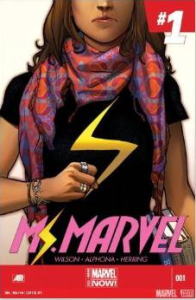 Ms. Marvel by G. Willow Wilson with illustrations by Adrian Alphona – When Kamala Khan took over as Ms. Marvel in this story written by Wilson, she became the first Muslim character to headline a Marvel book. But, apart from this, the new Ms. Marvel is also an exciting and entertaining read that fans of superheroes will love. Captain Marvel, Vol. 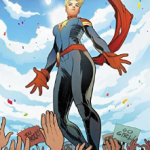 1: Pursuit of Flight by Kelly Sue DeConnick with illustrations by Emma Rios, Dexter Soy, and Ed McGuinness – When Carol Danvers, the former Ms. Marvel, assumed the title of Captain Marvel, DeConnick was the one to illustrate the story. This book, which sees Captain Marvel traveling back in time to World War II, is a great introduction to the character even if you have never heard of Carol Danvers before. This list is far from exhaustive and I can’t wait to find new books to read, so let me know of your favorites in the comments below! Good list, but I’m surprised Amy Reeder, co-creator of Rocket Girl didn’t make it. Also Fioa Staples, illustrator of Saga. I’m glad you liked the list and thanks for your suggestions! There were so many more books I would have liked to include, but I hope this will give people some ideas of where to start and I hope more people will suggest other alternatives so I can find new books to read as well! 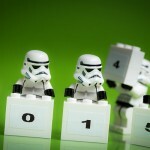 This is such an awesome list! My absolute favorite contemporary female cartoonist is Kate Beaton, who does the Hark! A Vagrant webcomic and tumblr, and who has a printed collection with the same name, and an earlier printed collection called Never Learn Anything from History. She’s currently illustrating children’s books as well, and her comics are smart and hysterical. 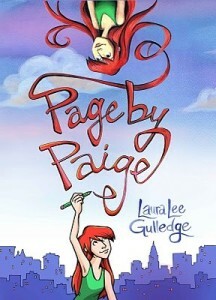 I loved Page by Paige by Laura Lee Gulledge; I don’t read that many graphic novels and I’m so glad it was on The Hub Reading Challenge that year. That list helps me discover books that I might not normally find. I also liked Will and Whit by Gulledge. I haven’t read that one, but I will definitely check it out. Thanks for the suggestion!